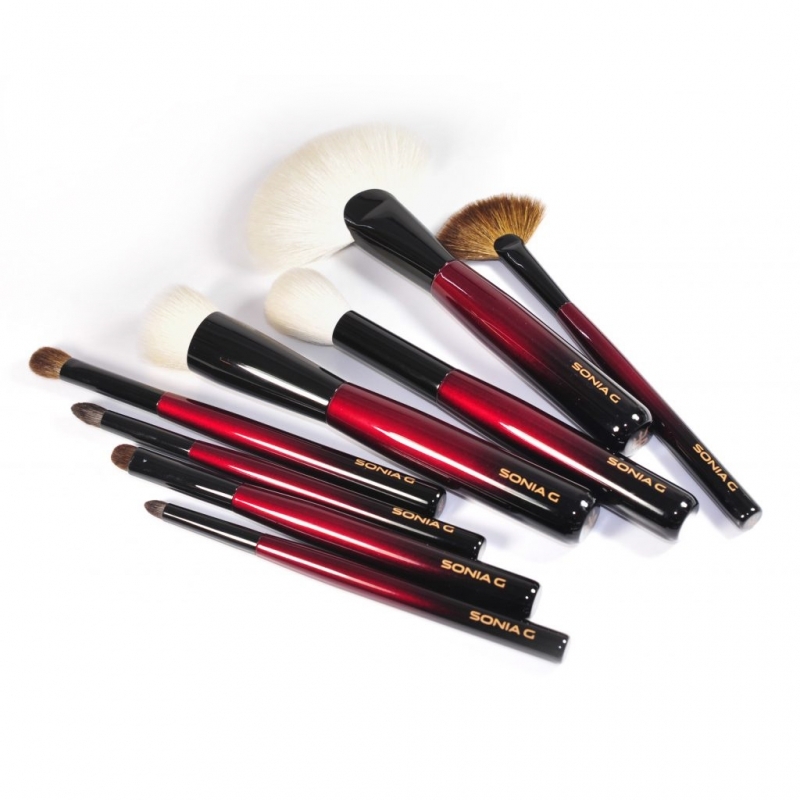 This set combines brushes that allow the application of a complete look, they are meant to fit any level of proficiency, for beginner to pro skills, for every day or for bold editorial looks. The set includes 4 eyeshadow and 4 face brushes. Today they are only available as a set but they will also be available individually starting sometime in January 2018. The set costs $362 and is available on Beautylish website, please click here to access their website and read more about it. Happy New Year Sonia! I know how hard you’ve worked on this project and now your dream has come to fruition! I look forward to 2018 with so much excitement and anticipation of experiencing your new brush line. Congratulations and all the best to you and your family! Dear Sonia, I just completed my fundamental brush set by being able to buy them individually. Thank you for offering them as singles! The Sculpt One and Worker One are my absolute favourite brushes ever. E-v-e-r. I hope they become iconic forever. I would never have tried a foundation brush except that every other fundamental brush works SO exceptionally that I’ve done a leap of faith (yet again) and have just ordered it. Can’t wait to receive it. I also really love your recent Smudger One from the new series. I’m desperately waiting for some of the fundamental range to become available again (sold out, well done!!!) so I can order 3 more Worker Ones first and… well the list is long! I really want 2-4 each of all your fundamental eye brushes. And another Sculpt One after that. Because, you see, I’ve realised they are SO good that nothing else compares. It’s like they perform at a whole other level, and I cannot get the same looks without them with the same amount of ease or time-saving. Thank you for making life easier and my everyday makeup more professional. I totally admire the personal effort, financial commitment, and family support it would have taken to bring your ideas to fruition. Please thank your family from a person across the other side of the world.